Lot 124. 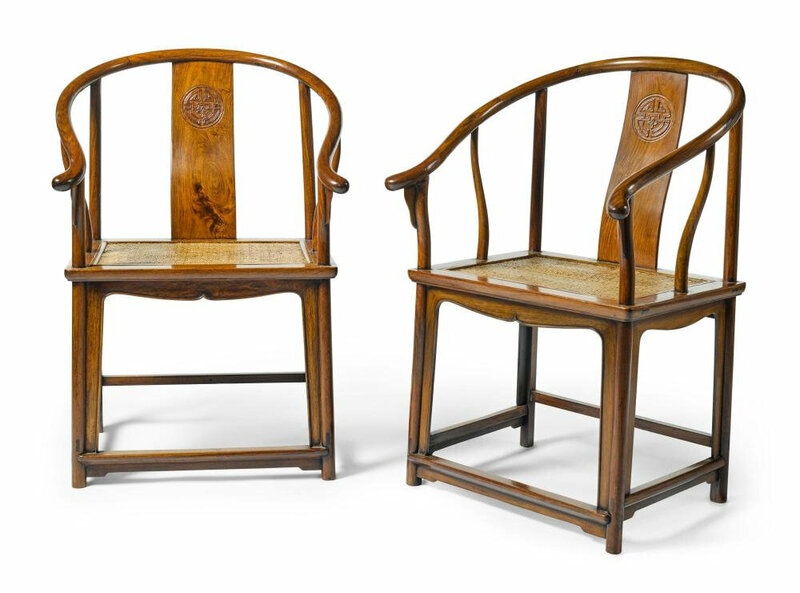 A pair of 'huanghuali' and hardwood horseshoe-back armchairs, quanyi, Qing dynasty, 18th-19th century; 95.8 by 65,8 by 59 cm, 37 3/4 by 25 3/4 by 23 1/4 in. Estimate 10,000 — 15,000 GBP. 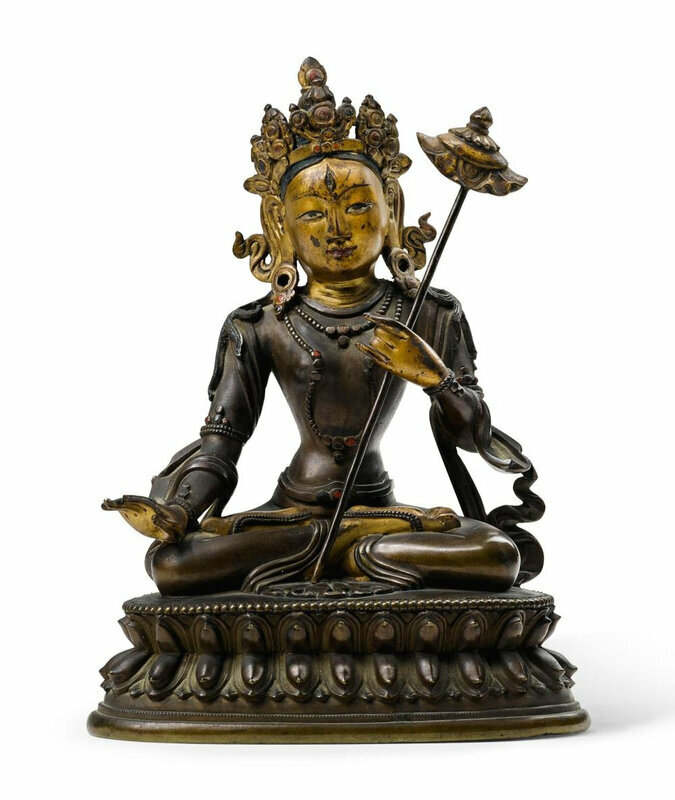 Lot sold 22,500 £ (25,769 €). © Sotheby's. each with curving toprail sloping down to the arms supported on serpentine side posts and terminating in a curved hook beyond the corner posts set with shaped spandrels, the curved backsplat carved with a shoucharacter medallion, the back corner posts continuing below the rectangular frame, with soft mat seat, to the back legs joined by stepped stretchers and a footrest, the front legs with a cusped arching apron. 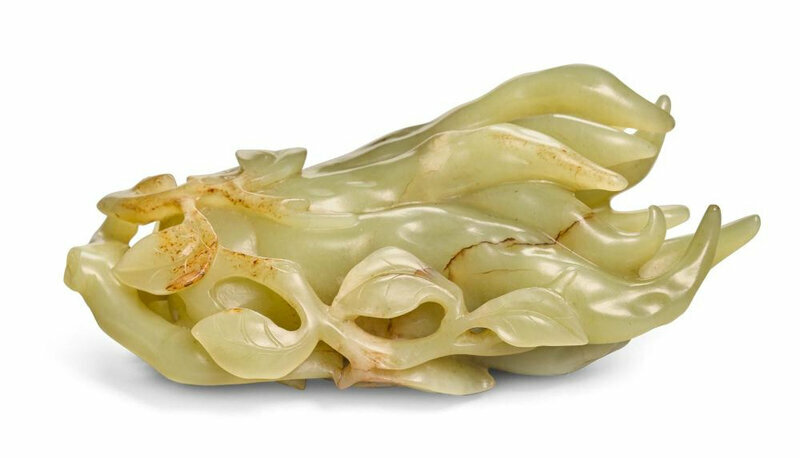 Provenance: Collection of John T. Irvine, purchased in China in the 1920s. 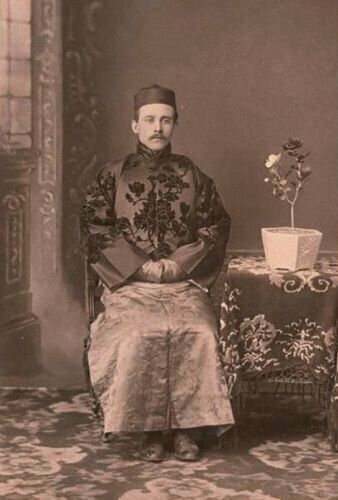 Mr John T. Irvine, China, c.1920.